I am on vacation this week and most of next week. I will be publishing my column just once this week and, only on Wednesday next week. I plan to be back to twice a week in April. China just printed a trillion new dollars – in one month. Japan has kept their economy afloat for years with money creation – they buy a majority of their debt (bonds) every year, and stocks too. The Fed does whatever it has to keep the economy going, starting with their low interest rate policy. I’ll get back to this point shortly. A friend of mine is my personal banker. A while ago I told him I wanted a six-figure line of credit. I didn’t have a need for it, but I thought it would be nice to have, just in case. He said the bank needed collateral so I decided to use some of my gold as backing for the line of credit. To my surprise, he would only allow me 60% of the value of the gold. I didn’t mind that the gold would be stored in the bank’s vault but it rubbed me the wrong way that the bank regulators did not allow banks to use gold as collateral at market value. According to the Basil III Standards, gold is not as good as cash or government bonds. Isn’t that ridiculous. However, that’s about to change in April. The BIS ruling states that Central banks and commercial banks will necessarily value their “financial” and real gold at market price. The reason the Fed values its gold on its asset side at only $42 per ounce is because the gold is valued at book value by the Treasury, and the Fed’s gold is actually only gold certificates valued at no more than the statutory price of their issuance in 1934 which matches the book value of the Treasury gold. Will the Treasury revalue its physical gold at FRBNY and Fort Knox? Will the Treasury allow the Fed’s gold certificates to be valued at market? What are the implications if they don’t? Will they be forced to “audit” their physical gold holdings, that many believe are no longer there? This should be interesting. But finally, gold will be able to be used as collateral at market value. It seems quite clear that someone or some group of individuals are motivated to cap the price of gold. Profit is a motive. In JPMorgan’s case, they have made billions by shorting gold and silver. The US Treasury and the Fed love to see cheap gold. A rising gold price usually is accompanied by rising interest rates and that is not in their best interest. But here is another reason, and it is tied to the new Basel 3 gold revisions. Financial analysis published two weeks ago by a major Italian newspaper, Il Sole / 24 Ore (The Sun / 24 Hours), asserted frankly that central banks have been using gold futures and derivatives to suppress the monetary metal’s price so they can obtain more of the metal less expensively in advance of its remonetization under new rules promulgated by the Bank for International Settlements to take effect March 29. Of course the new BIS rules, the “Basel 3” standards, declaring gold in the vault to be a superior asset, equivalent to cash and government bonds, are not news. What’s news here is that a mainstream financial news organization has nailed the deception and intrigue of central banks and accused them of rigging the international gold market. Il Sole/24 Ore may be the first mainstream financial news organization to suggest that central banks are rigging the market so they might obtain more gold in anticipation of remonetizing it and pushing its price up, but the newspaper isn’t the first to reach this conclusion. The U.S. economists and fund managers Paul Brodsky and Lee Quaintance hypothesized as much in a study published in 2012 and called to your attention by GATA. In 2018, central banks added nearly 23 million ounces of gold, up 74% from 2017. This is the highest annual purchase rate increase since 1971, and the second-highest rate in history. Russia was the biggest buyer. And not surprisingly, the lion’s share of gold is flowing into central banks of countries that are in the sights of America’s killing machine-the Military Industrial Complex that Eisenhower warned us about in 1958. If banks own and possess gold bullion, they can use that asset as equity and thus this will enable them to print more money. It may be no coincidence that as March 29th has been approaching banks around the world have been buying huge amounts of physical gold and taking delivery. For the first time in 50 years, central banks bought over 640 tonnes of gold bars last year, almost twice as much as in 2017 and the highest level raised since 1971, when President Nixon closed the gold window and forced the world onto a floating rate currency system. This worthwhile commentary from Jay, which I’ve read in its entirety, was posted on the Zero Hedge website in abridged form at 11:29 a.m. EDT on Sunday morning — and the first reader that dropped it in my in-box was Judy Sturgis. Another link to it is here. I write about bubbles and interest rates a lot. Recently a Fed bigwig wrote an article that stated the Fed cannot normalize policy EVER without blowing up all of the bubbles in the financial system. Keeping interest rates this low fosters speculation and will push the financial bubbles even further into never-never land. When this all comes to an end, it will be horrific. What better way to prepare for the inevitable than to own gold and silver? The bubbles are real. The debasement of currency and bonds are real. None of this is imagined. The Fed understands this and the danger in keeping rates low, but they finally are getting around to admitting that they have no choice. 1) It cannot normalize policy EVER without blowing up the Everything Bubble/ financial system. 2) The Fed is well behind the curve when it comes to dealing with the next downturn. Regarding #1, we’ve had some developments in the last month. Recently, Dallas Fed President Robert Kaplan published an article on one of the Fed’s websites outlining the risks to the corporate bond market. Kaplan is here admitting that the US corporate space is now MORE leveraged to the real economy than it was in 2008. He notes, that as a result of this, the US economy is MUCH more sensitive to interest rates. An elevated level of corporate debt, along with the high level of U.S. government debt, is likely to mean that the U.S. economy is much more interest rate sensitive than it has been historically. Even more astonishing Kaplan stated that THIS was the reason why the Fed has decided to stop hiking interest rates! In January I suggested this was the primary reason why the Fed made such an abrupt U-turn regarding monetary policy. It’s truly extraordinary that a Fed President is confirming this in public. Remember, the primary mandate of the Fed is to maintain financial stability. This inherently means downplaying risks/ potential threats to the financial system/economy. So as much as you or I would like the Fed to be bluntly honest, the fact is that the Fed has to sugarcoat things to avoid panics. With that in mind, the above admission by Fed President Kaplan is BEYOND extraordinary. Here we have the head of a regional Federal Bank admitting on record that the financial system, specifically the corporate bond market, is now MORE leveraged than it was in 2008 as direct result of Fed policy. Even more astonishing for a Fed official, Kaplan is admitting that the US economy is now much more sensitive to interest rates. Put another way, the entire US economy/ financial system has become one gigantic bubble that requires extreme monetary policy (extraordinarily low interest rates) to NOT blow up. This is literally the definition of the Everything Bubble. If you aren’t actively taking steps to prepare for this, you need to start NOW. On that note, we are putting together an Executive Summary outlining all of these issues as well as what’s coming down the pike when the Everything Bubble bursts. It will be available exclusively to our clients. If you’d like to have a copy delivered to your inbox when it’s completed, you can join the wait-list here. 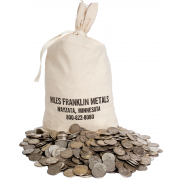 If you believe that there must be an endgame to all of this debt, money creation, and bubble-inducing madness, then I suggest that you also consider the following inevitable result on the precious metals market. Let me start by giving you an example. We have a client whose net worth is more than $350,000,000. He has already purchased $10,000,000 worth of gold. At the first sign of a credit collapse, interest rates rising rapidly out of control or of the dollar falling fast (having lost its Petro Dollar or Reserve Currency status), he is prepared to purchase an additional $50,000,000 worth of gold. If we had to go into the marketplace today and place an order of that size I don’t think we could fill it – at least not immediately. That would be just one order from one client. 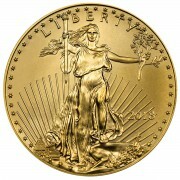 When it becomes clear that the time to own gold and silver is actually upon us, one of two things will happen. The metals may not be available at all, you will have to pay a great deal more, and wait to take delivery. 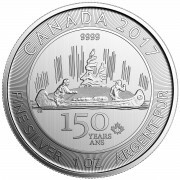 We have already experienced several periods when gold or silver were not available from the primary distributors (Mints, Refiners, etc.). They were sold out and backordered. This happened when the prices dropped too low and while the demand rose. But when there is a stampede to buy gold and silver that is not precipitated by low prices, but rather by rapidly rising prices fostered by greed and fear of a collapse in the currency or credit markets, the demand will be much, much greater. You better have a very strong relationship with your dealer and hope that they can put you near the top of what will be a very long list of orders. This is not a scare tactic, it is a fact. It is exactly how the market will work. It will freeze up and supply will vanish, prices will rise. What is an ounce of gold or silver in scarce supply worth when people are desperate to unload their dollars to purchase it? Ask the people in Venezuela. Are confident that you know how this must end up? The facts are adding up pointing to a very unhappy ending that is moving closer by the day. 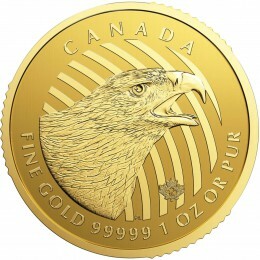 You should remind yourself that when you think it is convenient to take your position in gold and silver they may not be available for purchase, or if they are, you will have to wait a long time to take delivery paying a huge premium for the privilege of getting some precious metals at all. I ask myself, why are we doing so much business in the last six months with gold and silver still so very much out of favor by the main stream? Because many of our clients are aware of what I just wrote (above). They understand that being early is the only safe option and they can see the handwriting on the wall. The stock market, the bond market and the dollar are ALL under pressure. I will end this with a few comments from our friend Jim Sinclair – still “Mr. Gold” in our mind…. The manipulators of paper gold can temporarily do anything. The operative word there in being temporarily. The equation is gold versus run away insane debt levels, plus now we see QE in its true GLOBAL form as to INFINITY. YOU NEED TO MAKE YOUR DECISION AND NOT OVER-INTELLECTUALIZE IT. Do you really believe that fiat paper will maintain, and therefore store the value of what you have? Sorry, it simply will not. As such GOLD is your savings account.